With over half the qualifying draw consisting of French players, it was unsurprising that the majority of qualifiers for the Main draw of the Metz Open are French. Leading them into the main draw was world number 141 Kenny De Schepper. The 28-year-old eased himself past two French players in his quarter. In the first round, he came through two close sets against Hugo Nys. Nys is ranked 439th in the world and won one Futures title in Egypt earlier this year. Following his triumph over Nys, Schepper faced fifth seed Constant Lestienne for a place in the main draw. Lestienne achieved a landmark in his career earlier this year by qualifying for his first ATP main draw at the Estoril Open in Portugal. During the 71-minute match, Schepper didn’t drop his serve as he eased to the 7-5, 6-3, win. In the main draw Schepper faced another qualifier, Édouard Roger-Vasselin. Roger-Vasselin dropped eight games to book his place in his fifth main draw at the tournament. Since 2010 he has claimed just one victory in the main draw of the tournament, which was against Federico Delbonis in 2013. Throughout qualifying he beat New Zealand’s Michael Venus before crushing Enzo Couacaud in the final round. Playing 20-year-old Couacaud, Roger-Vasselin cruised to the 6-1, 6-1, win in less than an hour. Despite the two being regulars on the tour for some time (Roger-Vasselin in 31 and Schepper in 28), this was their first meeting. With 27 places separating the two players, their first round match was a close encounter. Roger-Vasselin booked his place in the second round after edging out his countryman 6-4, 7-6(2). During the match a costly drop of service in the third game of the match resulted in Schepper losing the first set. The second set was a closer encounter with both players matching each other until 6-6. The closeness suddenly faded away at 2-2 in the tie-break when Roger-Vasselin claimed five consecutive points to take the match. This is his first main draw win in an ATP 250 event since Newport in July. The third French qualifier was Vincent Millot. The 29-year-old won his first Challenger title in four years earlier this year in Granby. During qualifying Millot eased his way past little known player Tom Schönenberg (world No.694) to set up a showdown with countryman Maxime Teixeira. After a slow start to the match where he was trailing 1-3 in the first set, Millot clawed his way to win 7-5, 6-4. In the main draw Millot faced another French player, 7th seed Adrian Mannarino. Mannarino is currently ranked 39th in the world and has reached the final at two ATP tournaments (Auckland and Bogota). Millot was unable to cause a shock in Metz as he lost in straight sets, 6-2,7-5. The only exception to the French qualifier list was Germany’s Mischa Zverev. In his final qualifying match he played fellow countryman Daniel Brands. Brands, who reached a ranking high of 51 in 2013, were sidelined from the tour during 2014 due to mononucleosis but has won 2 Future titles in 2015. Zverev endured tricky match against Brands as he took it 6-4, 3-6, 6-3. Throughout 2015 Zverev has played the majority of matches in the qualifying stages. Prior to this week the 28-year-old has played 14 main draw matches, winning five of them. Despite this he continued his winning streak from qualifying into the main draw as he defeated Pablo Carreño Busta in the first round. The German took the match 6-2,6-7(3),6-1, to set up a second round showdown with Jo-Wilfried Tsonga. The ATP Rogers Cup for 2015 will take place in Montreal, Quebec and the strong Masters level field means that the qualifying draw is strong, and features many recognizable names both veteran and young gun, along with players in between those categories. Here is a preview of the weekend action set to come, as Tennis Atlantic is proud to have credentialed coverage of the tournament this year with our writer Leich Sinha. Seven qualifying spots are up for grabs, as all of the qualifying seeds have had ATP success this year and it makes for a competitive draw. Gulbis, now down to #81 in the world, has endured a rough season, and he’s now reduced to having to play ATP qualifying again. The Latvian is just 5-17 this year after going 41-20 last season and he’s failed to win consecutive matches at any tournament this year. The lack of consistency and high error counts has hurt him mentally and his first round opponent isn’t an easy win. Rola, an Ohio State product, has the ability to be top 100 and played well in Washington, beating Denis Kudla and losing to Leonardo Mayer, both in three sets. His NCAA experience built up his hard court abilities, and it’s hard to tell how this match will go. Gulbis is a name with star power, but Rola may well get the win in the end. Thanasi Kokkinakis has been struggling since the French Open and he put together a poor Davis Cup showing in his last outing. That said, the young Australian is still 9-12 at the tour level this year, and 21-1 below it, as he’s been fantastic in ATP qualifying. He has great skills for hard courts, and still should be a minor favorite over Herbert. The Frenchman who has shown flashes of talent worthy of the ATP level has had more success in doubles than singles this year and he’s just 1-2 at the ATP main draw level, though he qualified for Wimbledon in his last tournament entry. It’s hard to tell how his form will be on hard courts, but he has a solid serve. I see Kokkinakis advancing from this is he can find form. An interesting hard court matchup that should feature solid shotmaking, Dolgopolov has been inconsistent, but he won a pair of matches in Washington and he’s clearly under ranked given his abilities. The veteran Sela reached the quarterfinals in Atlanta, but didn’t fare well in Washington losing in a blowout, and his form is thus questionable. You never know what you’re going to get with Dolgo, but he’s a likely favorite to advance. An All-American battle that should favor the seeded Kudla over the formerly more accomplished Harrison. Kudla has been in fantastic form since the grass court season, as working with Billy Heiser seems to be paying off for him. The counterpunching ball striker who is solid from both wings reached the Semis in Atlanta to start his US Open Series, and though he lost his first match in Washington that may have been due to fatigue. Harrison lost to Kudla in a third set tiebreak in Atlanta, in what was a tight match featuring a lot of balls hit back and forth, and though he qualified in Washington his form hasn’t been the best since the Spring. If something is up with Kudla, Harrison could win, but Kudla appears to have outpaced Harrison in development and form at this point in their careers, and I see him advancing. Well-traveled veteran Nicolas Mahut is the top seed, but he’s 0-4 on outdoor hard courts this year and will look to improve against Canadian wild card and former Indian Hoosier Isade Junea. Junea is also 0-4 on hard courts this year and seems to prefer clay, thus Mahut is a heavy favorite over the futures level player. From there it should be Mahut against Rola/Gulbis to qualify, with Rola/Gulbis a favorite. I have Rola qualifying from section 1. Section 2 has Kokkinakis/Herbert facing the winner of J.P. Smith/Mikhail Youzhny in the final round of qualifying. Youzhny, a loser of seven straight matches, is in awful form as he seemingly heads towards retirement. The former ATP regular who is just 1-5 on outdoor hard this year should go out to Smith who is 13-11 and qualified in Washington. In a possible battle between Aussie’s Kokkinakis has more talent, but Smith may be in better form, overall I see Kokkinakis as the favorite to qualify. Section 3 is Dolgopolov/Sela against against Alejandro Falla or James Ward. Falla hasn’t played since Bogota but he’s 14-10 on an outdoor hard court this season. That match would be more entertaining on grass, but all the same Wardy is seeing the wheels come off his game right now and he’s lost four straight since Wimbledon. Ward tends to peak for the British part of the season on grass, and things aren’t looking up for him, so look for Dolgopolov over Falla in a shotmakers special to qualify. Donald Young will look to break out of his funk against Edouard Roger-Vasselin in section 4. Young, after a hot start to the season, won his first ATP main draw match since Miami in Washington, where he upset Tommy Haas, but otherwise the American has been a disaster since career best results in Memphis and Delray Beach back to back (semis and final). He struggled at home in Atlanta, and though he’s a hard court player, he could well crash out here as well. ERV, now 31, isn’t a great singles player, but he’s 9-4 on outdoor hard below the tour level this year, and if his form is even halfway decent, I have the French speaker knocking out Young in Quebec. The winner of Young/ERV will face Canadian Peter Polansky or veteran serve and volleyer Rajeev Ram in round 2. If it’s ERV vs. Ram it’ll be a battle of the doubles experts. Ram won Newport on grass and played well in Bogota but he was injured for Washington and Polansky at home may have an edge. Peter is 3-0 in the h2h and since returning from injury he’s played just two tournaments this season. This is a weak section, but I have Roger-Vasselin over Polansky to qualify. Rendy Lu will be a strong favorite in section 5. Lu opens with 17 year old Canadian wild card David Volfson, who plays futures and has never faced an opponent up to Lu’s level. The 31 year old veteran is then likely to meet Belgium’s Ruben Bemelmans in the final qualifying round. Bemelmans won a match in Washington and is a solid 18-5 below the tour level this year on indoor hard. He’ll open with Canadian wild card and NCAA player (North Carolina) Brayden Schnur. Schnur isn’t up to his level, but Lu vs. Bemelmans should be a battle. Lu doesn’t have a lot of weapons but his steadiness should see him through qualifying. Young gun Hyeon Chung of South Korea highlights section 6, Chung should roll past Canadian futures player Kelsey Stevenson and setup a meeting with Alejandro Gonzalez/Tim Smyczek. Chung won a main draw match in Washington and was competitive against Marin Cilic, a top 10 player, in round 2. The 19 year old is solid on both hard courts and clay and has a lot of game, thus I see him qualifying. Gonzalez is a pedestrian hard court player and Smyczek is in poor form (5 straight losses). Chung has a non-traditional game in some respects, he’s a good server and he whips his backhand. Last but not least, Kudla/Harrison will face Illya Marchenko or James Duckworth in an interesting hard court section. Duckworth has a 2-0 h2h over Marchenko, who has lost three straight, and the Aussie is in good form, as he beat Harrison in Washington and pushed top 10 player Kei Nishikori to three sets before succumbing. Kudla and Duckworth, the likely matchup, have a 1-1 h2h and both are in good form, so it’s a hard match to predict, but I’m going with Kudla to qualify. 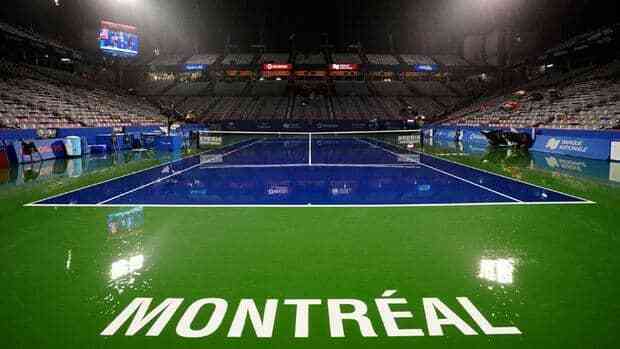 Look for our on-site reports from the ATP Montreal Rogers Cup this week! 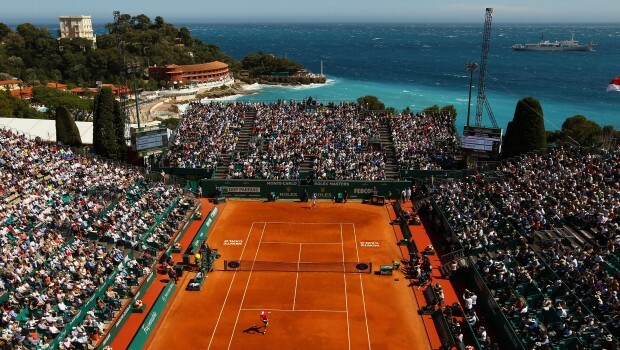 This week the worlds best players on the ATP Tour will get their first test on the clay courts in the prestigious Monte-Carlo Masters. The tournament started back in 1897 when Reginald Doherty took the title in three straight sets. Since then the event has transformed into a multi million dollar event with a prize money value of €2,750,000. Over the weekend 28 players have battled against each other to grab a segment of the prize money as well as vital ranking points during the two qualifying rounds. Heading the field was clay court specialist Diego Schwartzman. Last year the Argentine won four clay court Challenger titles within three months. So far in 2015 world number 62 has failed to progress past the second round of any tournament and will be desperate to pick up some more solid form as the clay court season begins. After dismissing world number 606 Romain Arneodo from Monaco in the first round, he also produced a final round 6-4, 6-4, win against Albert Montanes. After taking the first set, Schwartzman was forced to recover from a break twice in the second set before booking his place into the main draw. Elias Ymer’s hopes of playing in his first Masters main draw were halted today following a straight sets loss to American Denis Kudla. In the first round Ymer trailed 4-6, 2-3, to second seed Carlos Berlocq before he retired due to an adductor injury while Kudla came from a set down to beat Andrey Golubev. After a close first set, Kudla cruised to a 6-4, 6-0 victory to play in his first ever clay court Masters main draw. Slovakia’s Norbert Gombos qualified after Denis Istomin retired after only seven games. Gombos knocked out 9th seed Malek Jaziri in the first round. It is unclear in regards to the reason why Istomin retired, however the Uzbek has had some luck on his side as he received a lucky loser spot into the main draw due to Nicolas Almagro pulling out. Albert Ramos-Vinolas continued his recent consistent form on the tour with a 6-4, 7-5, victory over Robin Haase in a match which lasted nearly two hours. In the first set Haase have 9 separate chances to breaks Romas-Vinolas but failed to do so every time in a match filled of misses opportunities for the Dutchman. Andrey Kuznetsov overcame a close first set to beat Paul-Henri Mathieu 7-6(4), 6-1. The 24-year-old has only played four Masters main draw matches in his career in which he has only won one of them (Rome 2013). The Russian is currently ranked 91st in the world with his best performance being a quarterfinal appearance at the ATP Happy Valley Challenger in Australia at the start of the year. In the longest match of the day, French sixth seed Edouard Roger-Vasselin required almost three hours to beat Jan-Lennard Struff. Roger-Vasselin had two opportunities to take the final set 6-4, before the German clawed his way back to force the match into a deciding tie-break. In the tie-break nerves played a key part with seven breaks of serves before Struff edged his way to take the tie-break 8-6. The final score in the Frenchman’s favor was 6-4, 4-6, 7-6(6). Completing the list of qualifiers is Benoit Paire after he stormed to a 6-1, 6-2, win against Thiemo De Bakker. Despite being ranked 84th in the world Paire has competed in a variety of tournaments which includes Futures, Challenger and ATP Pro events. So far this year he has one Futures and two Challenger titles to his name. Paire was formerly considered a top young gun, and is seeking to climb his way back into the conversation. Kudla had beaten Paire once before at the 2013 Aegon Championships at the Queen’s club in London. Posted in: Adam Addicott, ATP, Miami. Tagged: 2015 ATP Miami, 2015 Miami Open, 2015 Miami Open Presented by Itau, 2015 Miami Open Qualifying, Adrian Menendez-Maceiras, Alejandro Falla, Alexander Zverev, atp, ATP Miami, ATP Qualifying, Austin Krajicek, Damir Dzumhur, edouard roger-vasselin, Filip Krajinovic, James Duckworth, Miami Open, Miami Open Presented by Itau, Miami Open Qualifying, Michael Berrer, Robin Haase, Ruben Bemelmans, Steve Darcis. The final day of qualification took place at the Tennis Center at Crandon Park in Miami. Out of the 24 seeded player’s in the 48-strong field, only six player’s managed to reach the main stage on a day which consisted of both the expected and the unexpected. Alexander Zverev rounded off his impressive display during the qualifying event with a hard fought three sets win over 24th seed Thiemo de Bakker. Zverev, who stunned top seed Joao Sousa in the first round, was made to come from a set down to beat Bakker 6-7 (2-7), 6-4,6-3, in a match which lasted nearly two and a half hours. The win has given the 17-year-old German his first ever place in a main draw of an ATP Masters event. Last week at the ATP Irving Challenger Zverev produced his best win of the year by beating world number 48 Jerzy Janowicz to reach the quarterfinal. Zverev will be joined in the main draw by another German, Michael Berrer. 34-year-old Berrer was pushed all the way by 22nd seed Kenny de Schepper as he edged the Frenchman out in a deciding match tiebreak. Throughout the match the former world number 42 was solid on his serve as he was broken only twice during the two hour and 45 minute match as he won 6-3,4-6,7-6 (7-3). Berrer has played at the Miami Masters five previous times before this year with his best result being the second round of the tournament in 2008 and 2010. After qualifying in Indian Wells last week, where he reached the third round, his result in Miami moves his number of qualifications for ATP events in 2015 to 4 (Doha, Zagreb, IW, and Miami). Third seed Benoit Paire suffered a disappointing straight sets loss to Alejandro Falla. In the lead up to the tournament, Paire appeared to be loving the Miami life when he posted a picture on his Instagram account on March 21st of a pool party that he attended. Unfortunately is seems like the Frenchman had much more fun there than on court today as Falla cruised to a 6-4,6-1, victory. The Colombian has only dropped eight games during the qualifying rounds. Steve Darcis is the highest ranked player to qualify for the main draw as he produced a straight forward 6-4,6-3, win against Norbert Gombos of Slovakia. The Belgian remained unbroken on his serve throughout the match. He will now be bidding to win his first main draw match in an ATP Masters tournament since the 2012 BNP Paribas Open in Indian Wells. He joins Berrer as another veteran serve and volleyer in the draw. Damir Džumhur booked his place in the main draw with a 6-4,6-2, win against unseeded Croatian Mate Delic. The Bosnian, who created history for his country by reaching the third round of the 2014 Australian Open, will now play in his first ever Masters main draw. Dzumhur is just the second Bosnian to ever play in Masters series main draw. Australian tennis fans may be gutted that Nick Kyrgios has pulled out of Miami however James Duckworth has given a smile back on their faces as he knocked out 6th seed Alejandro Gonzarlez 6-2,7-5 (7-5). The success in qualification by Duckworth follows an impressive run at Indian Wells. The 23-year-old came through qualifying and knocked out Dominic Thiem in the first round before being knocked out by Fernando Verdasco. Duckworth took part in “ATP University” recently, and looks to be ready to enjoy the ATP lifestyle. One of the biggest surprises of the entire qualification draw came in the form of Adrián Menéndez-Maceiras. Before this week, Menéndez-Maceiras hasn’t won a match in the qualification rounds for a Masters event nevermind the main draw. He ended his dismal losing streak in the first round when he knocked out Tobias Kamke. Today the Spanish world number 126 made it two wins in a roll as he recovered from a first set hammering to beat Taro Daniel 1-6,6-3,6-3 for a place in his first ever Masters main draw. Robin Haase enjoyed a 7-5,6-4, win against Lukas Lacko. It wasn’t all plain sailing for the Dutch player, however, as Lacko began the match in dominating form as he stormed to a 4-1 lead. Unfortunately, he was unable to hold on to the lead as Haase triumphantly battled back. The turning point occurred when Lacko lost his serve whilst 4-1 up in a game which consisted of 12 deuces. Haase level things up at 5-5 before taking the first set 7-5. Then in the second set Lacko faltered on his serve twice which guided Haase to the win. Édouard Roger-Vasselin reached the main draw for the fourth consecutive year after a 6-2,6-3, victory over former junior world number six Chase Buchanan. Roger-Vasselin has so far throughout his career only won five matches in a main draw of a Masters tournament of which two were in Miami. He previously had a good week in Indian Wells, just like Haase and Berrer. Dustin Brown failed to keep hold of his first set lead after being knocked out by Ruben Bemelmans. After losing the first set in a close tiebreak, the Belgian battled to a 6-7 (4-7), 6-4,6-2, win to make his first Masters main draw since 2012. The win against Brown will be a massive confidence boost to the Belgian after he recently suffered two consecutive losses at the start of this month to player’s ranked outside of the top 250 (Henri Laaksonen, 344 and Dimitar Kutrovsky, 296). Two of the last matches in qualification featured upcoming talents Elias Ymer and Omar Jasika. Ymer faced world number 146 Austin Krajicek of the USA. The Swedish teenager looked on course to make his Masters main draw debut as he lead his rival by a set and a break. Things then started to unravel for Ymer as Krajicek broke back and took the second set to force it into a deciding set. The momentum generated by the teenager was rapidly disappearing as the American surged to a 3-0 lead in the final set to have a strong hold of the proceedings for the first time in the match. Ymer had no resolution to combat the Americans final set surge as Krajicek took it 3-6,6-4,6-3. Meanwhile 2014 US Open boy’s champion Jasika put up a brave battle against Serbia’s Filip Krajinovic but was knocked out 6-4,4-6,6-3. Both Krajicek and Krajinovic qualified for third ATP events on the season. Even in this Masters level event, all of the qualifiers will have at least an outside chance to win their matches. Posted in: Adam Addicott, ATP, Indian Wells. 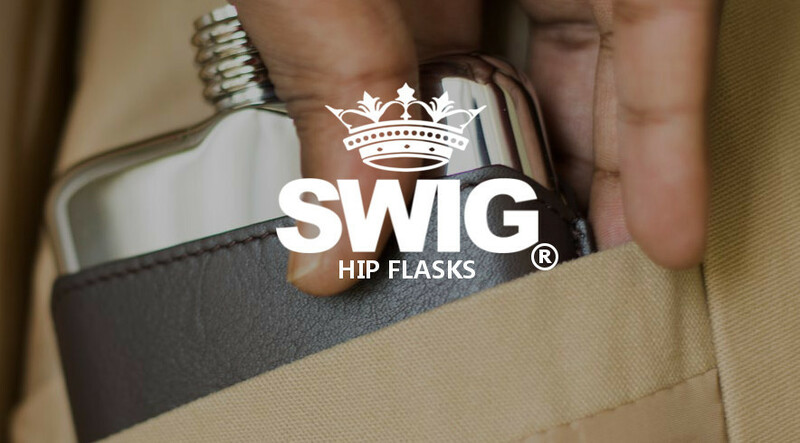 Tagged: 2015 ATP Indian Wells, 2015 ATP Indian Wells Qualifying, 2015 BNP Paribas Open, 2015 BNP Paribas Open Qualifying, 2015 Indian Wells, Alex Bolt, ATP Indian Wells, ATP Indian Wells Qualifying, BNP Paribas Open, BNP Paribas Open Qualifying, Borna Coric, dennis novikov, edouard roger-vasselin, Filip Krajinovic, frank dancevic, indian wells, James Duckworth, Jurgen Melzer, Michael Berrer, Mischa Zverev, Taylor Harry Fritz, Thiemo De Bakker, Victor Hanescu, Yannick Hanfmann. The final stage of qualification got underway on Wednesday with both old and new players booking their place into the 2015 Indian Wells main draw. 8 of the 25 seeded player’s booked their place, while four unseeded players also qualified. Jurgen Melzer continued his impressive Indian Wells record by maneuvering his way past Michael Russell to make the Indian Wells main draw for the 12th consecutive year. The former top 10 player spend just over two hours on the court before beating Russell 6-4 5-7 6-3. The 33-year-old Austrian is currently ranked 86th in the world, however he is yet to win back to back matches in any main draw this year. Borna Coric was pushed all the way in the final set by 2011 French Open boy’s champion Bjorn Fratangelo before reaching his first ever master’s main draw by taking the match 6-1 2-6 7-6(9-7). After easily taking the first set, Coric had a taste of his own medicine when Fratangelo fought back to square the match. The American also broke Coric in the final set to lead 4-2 and be only two games away from a landmark victory. The lead was however short lived as Coric battled back to take proceedings into a deciding tie-break where he finally took it 9-7. To make the win even more special, the 18-year-old had to save three match points (one while trailing 4-5 and two in the tie-break) to the heartbreak of his rival and the home crowd. Similar to Coric, Australia’s Alex Bolt will also embark on new territory following a 6-3 7-5 win over James McGee. Throughout the match Bolt remained strong on his serve as his Irish rival failed to break him during the one hour and eleven minute match.The 22-year-old Australian is currently at a career ranking high of 164 in the world. Bolt will be joined in the main draw by his fellow countryman James Duckworth, who endured a tough qualification match against Rajeev Ram. Duckworth, who reached the second round of the Australian Open earlier this year and has been in good form as of late, was a set and break down against the experienced Ram before climbing his way back into the match and eventually take it 2-6 7-5 6-4 to make his first ever Masters main draw. Unfortunately, Luke Saville was unable to complete the Australian hatrick of qualifiers as he was knocked out in straight sets by Serbian 8th seed Filip Krajinović. After losing three out of his four service games in the first set, Saville put up a tougher fight in the second set, however, it wasn’t enough to tame Krajinović as he went on to take it 6-1 7-6 in 99 minutes. One of the biggest stories of the day was Dennis Novikov’s epic three set win against Daniel Gimeno-Traver, a player ranked 162 places higher than him. Novikov, who beat Jerzy Janowicz in the first round of the 2012 US Open, was behind 3-6 0-2 before fighting his way back to take it in three sets. The win means that he will be the 11th American man to participate in the main draw. Following his win, Novikov expressed his delight on his Twitter account. There was some consolation for Gimeno-Traver as he received a lucky loser spot into the main draw. Despite approaching the end of his tennis career, Victor Hănescu has still demonstrated that he can play among the big guns. The world 146 was pushed all the way by Nikoloz Basilashvili before finally taking it 3-6 6-4 7-6(7-5). Hanescu has reached the second round at Indian Wells on five separate occasions. The most recent of these was last year where he beat Stéphane Robert in the first round before losing to Milos Raonic in the next round. Germany’s Michael Berrer cruised into the main stage of Indian Wells with a straight forward 6-4 6-4 win against wildcard entry Mackenzie McDonald. McDonald, who has only played in two Future tournaments this year, was no match for the experienced Berrer on the day, as Berrer qualified for the third time on the ATP World Tour this year. Yannick Hanfmann, the best player on the USC tennis team, was unable to produce another sensational upset as he bowed out in three sets to Edouard Roger-Vasselin. In the first round the world 819 stunned 10th seed Paul-Henri Mathieu. Despite the loss, Hanfmann can still be fairly satisfied with how he played as he took Mathieu, a player ranked 700 places higher than him, to three sets. James Ward was unable to reproduce his Davis Cups Heroics as he could only win four games against Mischa Zverev. Last weekend, Ward staged an outstanding comeback to beat John Isner in five sets to help Great Britain beat America in round 1 of the Davis Cup. All the effort by Ward has now, however appeared to catch up with him physically as the former world number 64 cruised to a 6-3 6-1 win. Zverev, formerly a top 100 player, had to win the pre-qualifier to get into the qualifying draw and he certainly made the best of it. Frank Dancevic booked his placed in the main draw of the Indian Wells Masters for the first time since 2007 following a three set win against Germany’s Philipp Petzschner. The Canadian was in big trouble as he trailed a set and 0-3 before staging a mighty comeback to take the second set to his opponents surprise. Unfortunately for Petzschner, the momentum that he generated in the first set and at the start of the second rapidly evaporated as Dancevic save five break points to comfortably take the final set with the final score being 5-7 6-4 6-1. Finally, rounding competing the list of 12 qualifiers is Thiemo de Bakker. Baker, who reached the third round at the Indian Wells Masters back in 2010, brushed aside, young American, and Californian teenager Taylor Harry Fritz 6-4 6-4. Fritz has a promising future, but it will take some time to develop his game towards the ATP level. De Bakker has qualified for four ATP events this year and appears to be nearing critical mass. In the main draw, Novikov will face Melzer to earn the right to face John Isner, Coric will face Andreas Haider-Maurer for the right to face Bernard Tomic, Mischa Zverev will face Adrian Mannarino, before a possible encounter with Fabio Fognini, Gimeno-Traver will play Sam Groth as a lucky loser with the winner to face Ernests Gulbis. Roger-Vasselin will face Marinko Matosevic with Feliciano Lopez to follow if he wins, De Bakker will play Jarkko Nieminen with a good draw that would see him facing Pablo Cuevas in round 2. Duckworth will play youngster Dominic Thiem with Fernando Verdasco as the seed in waiting, Dancevic will face Alex Dolgopolov, with Santiago Giraldo as the seed in waiting, Berrer will have a good chance against Victor Estrella, with Gilles Simon on deck, Rafa Nadal awaits the winner of Krajinovic and Igor Sijsling, and if Bolt beats Robin Haase he would face Stan Wawrinka next. Last but not least, Hanescu will face fellow veteran Mikhail Youzhny, with another veteran, Andreas Seppi, lurking. A resurgent Ernests Gulbis won his second career ATP Delray Beach title (the other coming in 2010) 7-6, 6-3 over fellow surprise finalist Edouard Roger-Vasselin in a match where both players began the week ranked outside the top 100. Gulbis will now rise into the top 70 and Vasselin will also break the top 100 after making his first career ATP final at the age of 29. Gulbis qualified and then beat James Blake, Sam Querrey in 3, Daniel Munoz De La Nava and Tommy Haas in 3. Roger-Vasselin beat Flavio Cipolla, Ivo Karlovic, Ricardas Berankis and John Isner, who continues to struggle mightily as he heads into Indian Wells trying to defend finalist points. 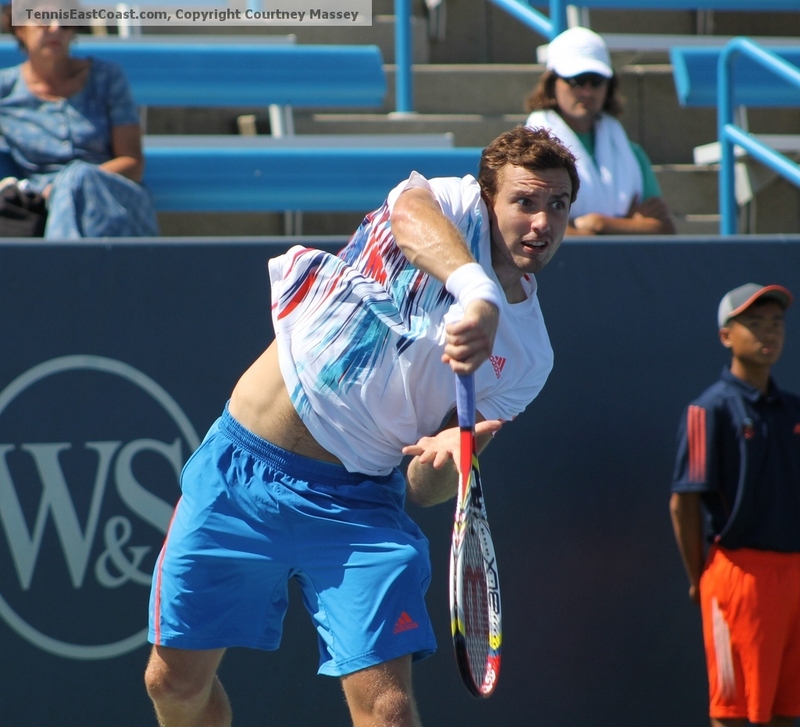 Gulbis is 8-2 thus far at the ATP level after a below .500 showing last year and appears to be refocused. James Blake and Jack Sock made good on their 2nd straight doubles final and this time took the title over Max Mirnyi and Horia Tecau.